Home › Forums › Introductions › Hello everyone!! This topic contains 5 replies, has 3 voices, and was last updated by DarkFlash 2 years, 2 months ago. Hi tryan3d. You should be whitelisted within a week or so depending on how well the server handles things. You’ll get an email with all the details. I look forward to meeting you on the server! Thanks Danny, looking forward to your email. Meanwhile I am playing single player to get familiar with the modpack. 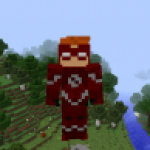 Which modpack are you mainly playing on? i am using unreal tech on singleplayer as i have yet to be whitelisted as well. Have you done anything complicated techy stuff? Can’t wait to meet you on the server! I am using the same modpack “unreal tech”. Looking into Actually Additions first and doing some exploring. I already know Mystical Agriculture so getting started on that as well. See you on the server…. This reply was modified 2 years, 2 months ago by tryan3d. I am loving the Actually additions modpack and concentrating on doing things associated with them. FYI: Ellpeck; creator of Actually additions plays on the servers, which is pretty cool in all honesty. I don’t know a single thing about Mystical Agriculture but i ahve been getting things for later use. Tell me when you get on the server, i have yet to be whitelisted =|.